WASHINGTON — With hurricanes, wildfires, flooding, tornadoes and drought, America hit a record high bill last year for weather disasters: $306 billion. 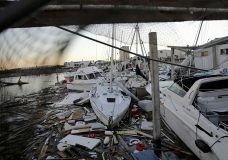 WASHINGTON — The Federal Emergency Management Agency is spending more than $200 million a day responding to recent hurricanes and wildfires, its chief told Congress Tuesday in testimony that also slammed the $300 million Whitefish contract in Puerto Rico. 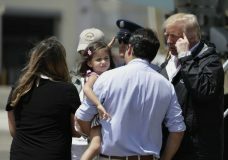 WASHINGTON — A senior Senate Democrat said there’s no time to waste as the Senate pressed ahead Monday on a $36.5 billion hurricane relief package that would give Puerto Rico a much-needed infusion of cash.